WASHINGTON (Sputnik) - A US Air Force Ground-Based Interceptor (GBI) has successfully destroyed an intercontinental ballistic missile (ICBM) in a test, the Missile Defense Agency announced in a statement. "The US Missile Defense Agency, in cooperation with the Joint Functional Component Command for Integrated Missile Defense, US Northern Command, and elements of the US Air Force Space Command… conducted a successful test today against an ICBM class target," the statement said on Monday. "The GBI-Lead destroyed the reentry vehicle, as it was designed to do." The threat-representative ICBM target was launched from the Reagan Test Site on Kwajalein Atoll in the Marshall Islands, over 4,000 miles away from the two GBI interceptors, which were launched from Vandenberg Air Force Base, California, the Missile Defense Agency said. During the test, space, ground and sea-based Ballistic Missile Defense System (BMDS) sensors provided real-time target acquisition and tracking data to the Command, Control, Battle Management and Communication (C2BMC), the statement added. 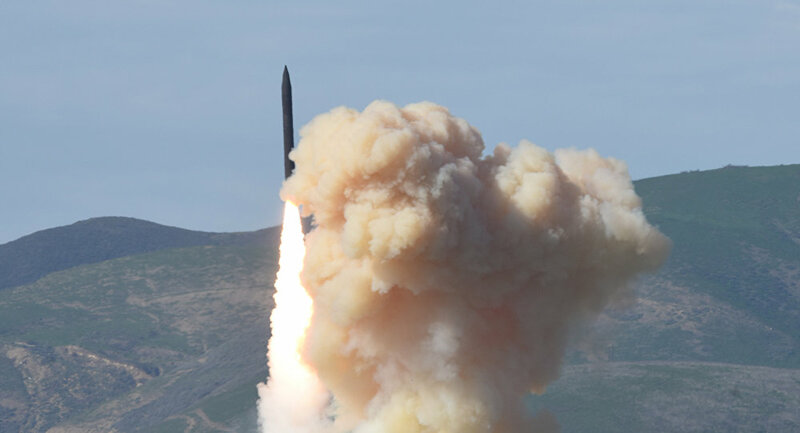 "This was the first GBI salvo intercept of a complex, threat-representative ICBM target, and it was a critical milestone," said MDA Director Air Force Lt. Gen. Samuel A. Greaves. "The system worked exactly as it was designed to do, and the results of this test provide evidence of the practicable use of the salvo doctrine within missile defense. The Ground-based Midcourse Defense system is vitally important to the defense of our homeland, and this test demonstrates that we have a capable, credible deterrent against a very real threat." The GMD element of the ballistic missile defense system provides combatant commanders the capability to engage and destroy intermediate and long-range ballistic missile threats to protect the US, according to the statement. "The mission of the Missile Defense Agency is to develop and deploy a layered ballistic missile defense system to defend the United States, its deployed forces, allies and friends from limited ballistic missile attacks of all ranges in all phases of flight," the statement underlines.